Most women feel dizzy and sweat cold before a heart attack. Sudden pallor for no apparent reason can also be an indicator of a heart attack. Unlike men, women generally don’t feel numbness in their chest and shoulder, but they may feel a tightness along their jaw up to the neck. These mild pains can expand to their shoulders toward the left side. You should also watch out for pressure on your chest and upper back. One study found that nearly half of the women who had a heart attack experienced sleep disorders in the days before. Sleeping problems are common, but if a woman experiences an excessive sleep disturbance, this may be a sign that something isn’t going well with her heart. Women may have indigestion or vomit just before their heart attack. In addition, the chances of having gastrointestinal and digestive problems can increase significantly before a heart attack. This is perhaps one of the most common symptoms, affecting over 70% of women who are about to have a heart attack. In many cases, this tiredness and weakness might be mistaken for flu symptoms. They may suddenly feel exhausted, even after performing small tasks such as getting up from a chair and walking a short distance. Women about to have a heart attack may also experience shortness of breath. 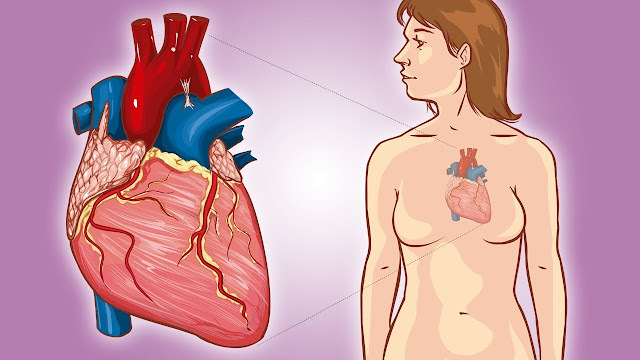 More than half of these women suffer from shortness of breath before the heart attack. This symptom may be accompanied by difficulty speaking. Feeling anxious or stressed is something very common these days, but if it’s accompanied by a feeling that something isn’t going well, it may be a warning. Women often feel anxious, stressed and tense before a heart attack and describe this feeling as a sense of imminent death.